It is quite often said that the global hockey community is a tight-knit group. 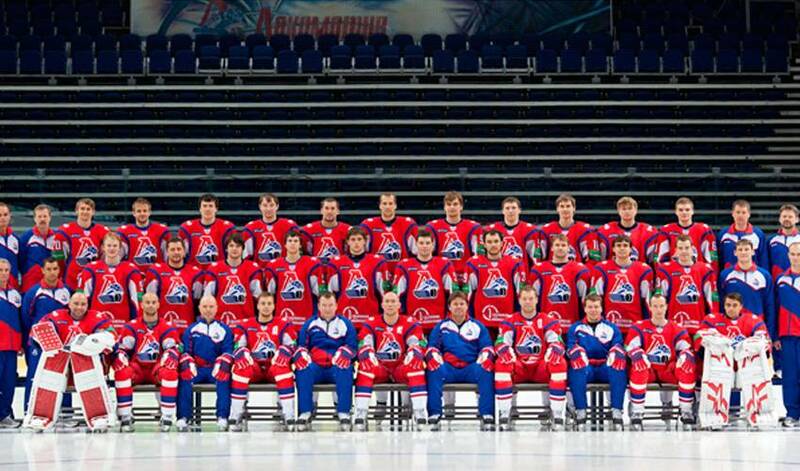 This was never more evident than September 7, 2011 following the tragic plane crash in Russia carrying theKHL team Lokomotiv Yaroslavl, tragically killing all but one of the people on-board the flight, including the players, coaches and staff of the hockey club. The reverberations were immediately felt on both sides of the Atlantic Ocean, as former teammates and friends of those affected by the tragedy began to receive the news of what had taken place. Between the NHL, theKHL and all the other professional leagues in Europe and North America, there were very few spots where someone did not have a connection to the members of theLokomotiv Yaroslavl club. Since that terrible day, a grassroots initiative called Love for Lokomotiv, created by the wives and girlfriends of NHLPA members all across North America, in concert with spouses of players from numerous other pro leagues in Europe and North America, has been launched to help the families of all those affected by the plane crash. Needless to say, the tragedy hit very close to home for the wives, girlfriends and families of the members of the NHLPA. This is why Brijet did not hesitate when initially approached by Kodette LaBarbera, wife of Phoenix Coyotes goaltender Jason LaBarbera, KaterinaJokinen, wife of Calgary Flames centre, Olli Jokinenand Erika Lundmark, wife of long-time NHLPAmember and current KHL player, Jamie Lundmark, about assisting with the initiative. The women involved in the Love for Lokomotiv initiative are selling bracelets, a sign of remembrance and solidarity, in an effort to raise funds for the families affected. All the money raised will be placed in a fund and then distributed equally to the families from Yaroslavl. Each family will then have the opportunity to decide how to use the money, whether they create a trust fund for their children, make donations to charities or create scholarships in their husband's, sons and/or boyfriend's names. The group has created a website (www.loveforlokomotiv.com) where anyone interested in helping out in the fund-raising effort can go to purchase the bracelets. The cost for bracelets is $25 for children's beaded bracelets, $50 for adult beaded bracelets and $10 for silicon bracelets. At the end of the day, Brijet and the other wives were deeply moved by the tragedy and were eager to provide any help that they could. The thought of what the Yaroslavl families are dealing with struck close to home for all NHL families.